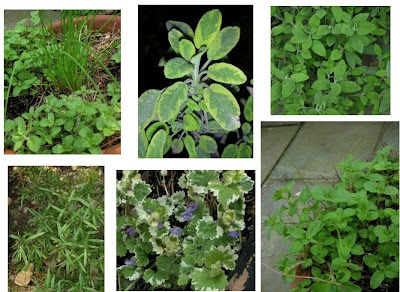 An exceptionally mild winter meant all the herbs made it through, including those in pots. Bonus, fresh oregano and chives in early May! Ooh, I'm so jealous, I can SMELL them. Is that some kind of sage in the middle? In the past I've grown both lemon and pineapple sage, and they're both amazing. Can't wait to plant a new kitchen garden. Enjoy them! MMmm... my thyme made it through this year, but nothing else. That sage caught my eye too. Dry Fall,outdoor watering ban, and cold winter.